Tired of having to find a spot to balance your Barbecue Grill Box lid while you check your food on the grill. The Barbecue Lid Holder is the perfect solution. 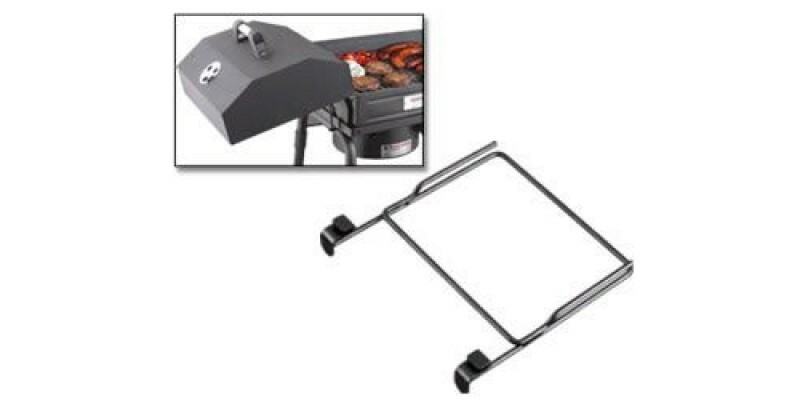 Barbecue Lid Holder attaches easily to most Camp Chef stoves giving you a convenient location to place your Barbecue Grill Box lid while flipping the burgers or checking the grilled chicken.